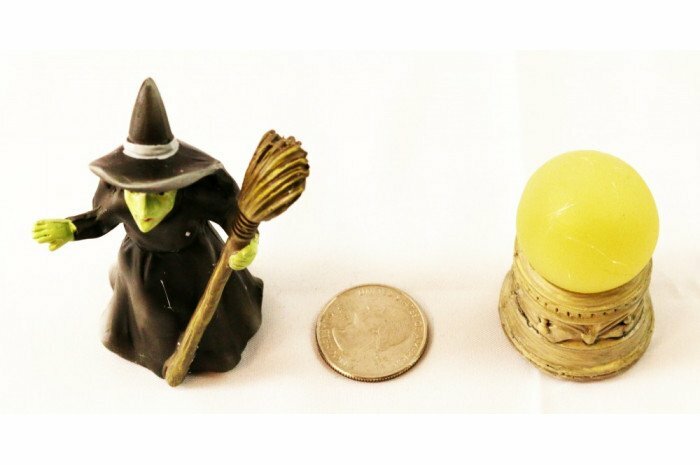 Both pieces in this set are fabulous. 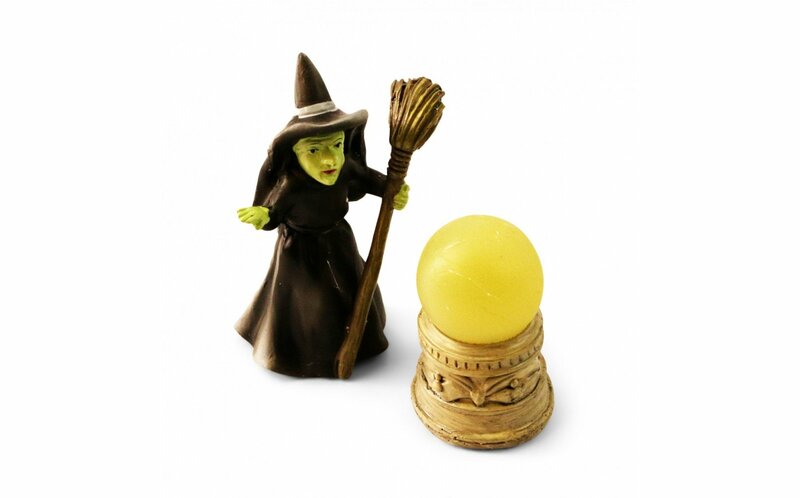 From the lighted crystal ball (battery included) to the green-colored witch holding a broom, these minis will be used frequently. Witch measures 3 1/8" tall.